Independent, prolific, and influential, Gustave Baumann stands at the center of American woodcut printmaking in the first half of the century. He created vivid, brilliantly colorful nature-inspired scenes of rural American life and Indian cultures. His prints are simple and elegant studies rooted in a landscape that is both delicate and rugged. This award-winning book--published in 1993--was the first published collection of his stunning oeuvre. This is the first paperbound edition of the book. 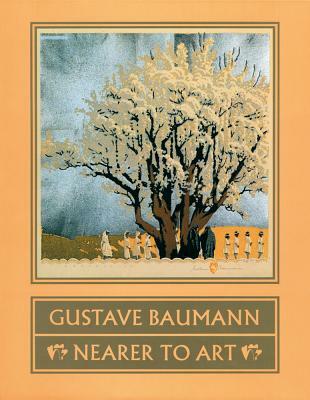 Starting out as a commercial illustrator, at night Baumann studied at the Art Institute of Chicago, "to get nearer to art," and also briefly in Munich, refining the fundamentals of his artistic direction and creating his first woodcuts in a medium that would bring him international recognition. Baumann lived in Chicago and Brown County, Indiana, and then spent more than a half-century in Santa Fe, taking frequent side trips about the West and California and creating his most beloved prints.